The sensuality and revolutionary spirit of Argentina are just two of the country’s features that have made so many travellers’ dreams a reality. But behind the many myths surrounding Argentina there is a much more vivid and lively reality that you can find in its original neighbourhoods, and in the beauty of its natural environment and the chaos of its huge cities. Argentina, with its authentic foods and tastes, irresistible music and setting in one of the biggest and most beautiful countries in the world, promises to make any couple’s honeymoon a totally unique experience. Argentina’s size should not be underestimated – it is far larger than you previously imagined. In fact, it is the eighth largest country in the world, the second largest in South America (after Brazil), and the largest Spanish speaking nation. For most inter-city travel, a flight is required due to the sheer expanse of the nation. 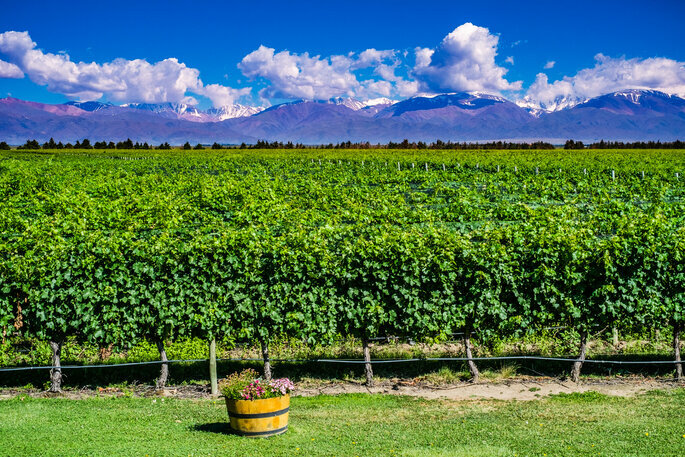 Because of its size and the differentiation within its ecosystems, Argentina has a very varied climate, and so it is difficult to pinpoint the perfect time to travel there. If you’re prepared to put up with both the cold and the heat within the same trip, between November and December, and then March and April, are the best times to be able to enjoy part of the summer. As you’re aware, the official language is Spanish, but Argentina also has the best level of English in Latin America, so don’t panic if you’re lost! Due to high levels of immigration, there are also large Italian, German, Polish, French, Russian and Welsh communities – to name but a few. The currency is the Argentinian peso, but do bear in mind that inflation is quite common in Latin America and so the value of your money may change in a short period of time whilst you’re there. 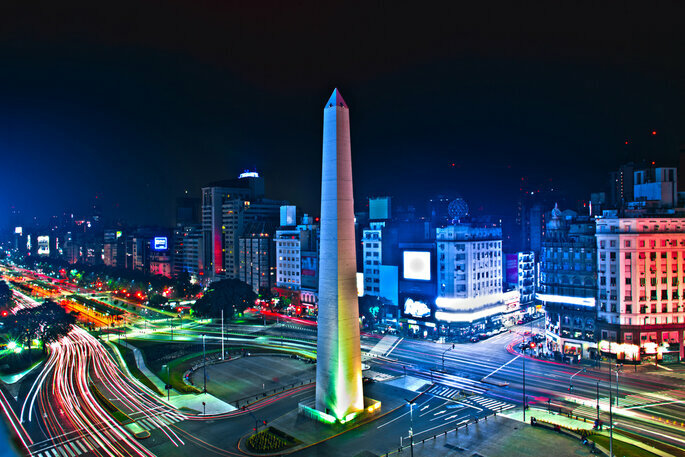 Buenos Aires, the capital city, is the place that most people refer to when they speak of Argentina. And there are other cities that are well-known, such as Cordoba, Rosario and La Plata, mostly because of their size. But the country is more than just the sum of its cities, and its natural exuberance and sense of adventure has become its most important quality for travellers over time. Amongst the best tourist attractions, there are the Iguazú Falls, a beautiful set of waterfalls without an European equivalent; the Mendoza vineyards, the top producers of wine in Latin America; Bariloche and its ancient Patagonian lakes, true gifts of nature for sightseers; the Perito Moreno Glacier, one of the most impressive on the planet; the Port of Madryn, where you can see dolphins; and finally, and perhaps most incredible of all, the southernmost city in the world, Ushuaia – and the beautiful Tierra del Fuego National Park. However, the lesser known tourist destinations should also be considered as amongst the best places in the world to visit. 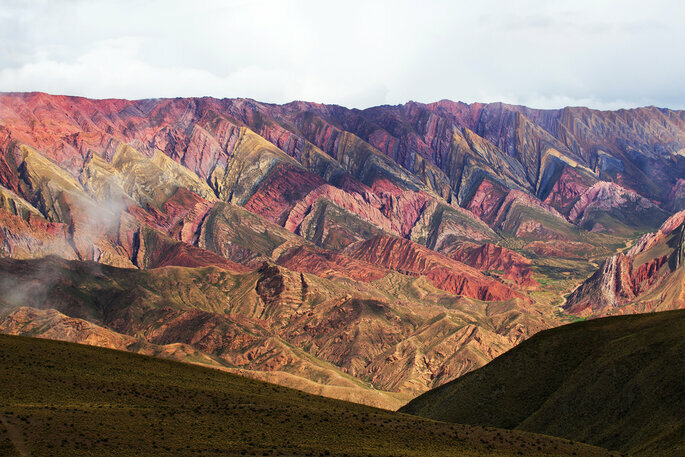 Amongst them is the Quebrada de Humahuaca, a World Heritage Site with stunning views, the Los Alerces National Park, the La Pampa province and its ranches and fields, and of course Route 40, which takes you from the north of Argentina to the south through the mountains. The welcoming Argentinian culture is immediately apparent from the moment you arrive in the country, with the Argentinian people being amongst the friendliest, and masters of hospitality. Argentina is hugely multicultural, with particularly large Spanish and Italian communities who have contributed to the rich cocktail of cultures within the country. The tango is perhaps the most symbolic feature of Argentina, and you can find a place to learn or to just dance in every city until the early hours of the morning. During the days, folk spectacles fill the streets, and pop-up markets are full of the best foods that you can get, from sweets such as alfajores (a kind of sweet biscuit), to savoury dishes like locro (a meat and vegetable stew) which, of course, can then be washed down with the best wine in South America. Don’t miss out on experiencing this blend of cultures! A city that changes at every turn, Buenos Aires is full of an ecclectic mix of nostalgia and modernity. Its spirit, its architecture, and its way of life mix the traditional and the contemporary to the most incredible effect. 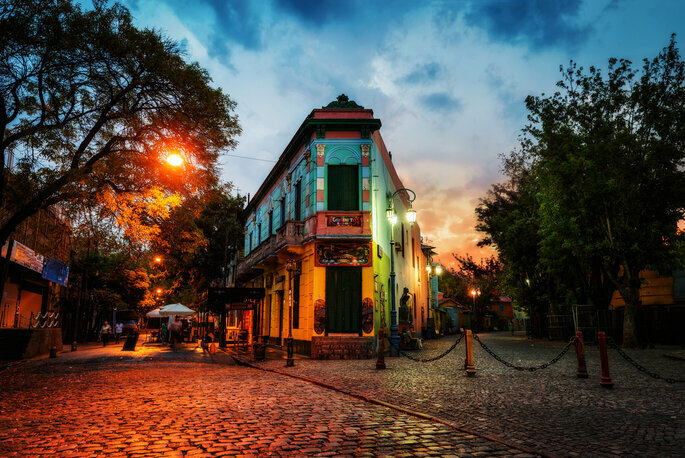 Whilst in the city, you should wake up to enjoy a sunrise in Puerto Olivos, walk the ancient streets of San Telmo and La Boca (the latter is replete with multicolour houses and is home to the La Bombonera stadium), and experience the glamour of La Recoleta. 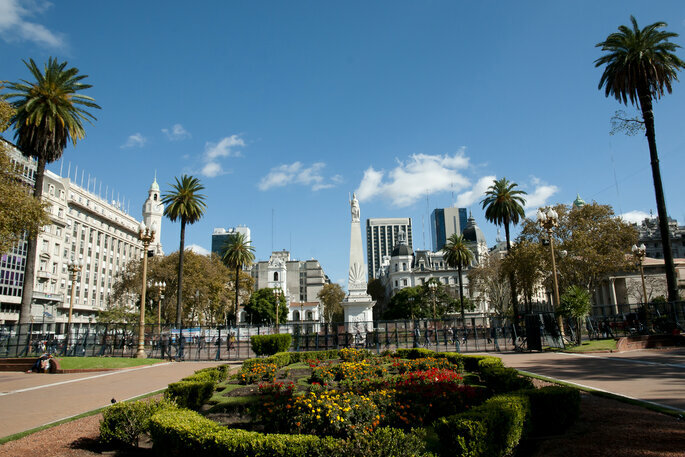 Other places to visit include the Avenida 9 de Julio, Palermo Viaje, and the Barrio de San Isidro which a few miles from the city centre. Photo via Shutterstock: Lukas Bischoff Photograph. A World Heritage Site, the Quebrada of Humahuaca is fantasy made reality, a completely singular place on the planet for the sights of the mountains that it offers. When the sun sets, the surface of the range changes colour – a natural phenomenon that is impossible to replicate. This is an indescribable experience to have, and will certainly leave you feeling humbled by the magnificence of mother nature. 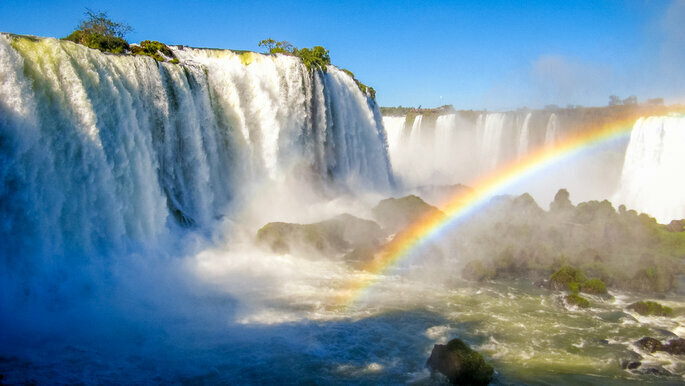 One of the most enticing attractions in the world, Iguazú Falls are simply spectacular. Known across the planet, these colossal waterfalls are a work of art created by nature which can be seen from Argentina and across on the Brazilian border. If you can, we recommend that you see it from both sides to have a complete experience; you can also get closer by taking a short trip in a small boat, which will give you the best view possible. Undisputably one of the greatest natural wonders of the world, don’t miss out on seeing these magnificant waterfalls! In a fantastic example of the different climates within Argentina, the Perito Moreno is a huge glacier in the south of the country which forms part of the Los Glaciares National Park. You’ll definitely need to pack a coat if you want to visit, but is worth the cold – the glacier itself is made up of white and blue ice, a sight that will leave your mouth open in awe. 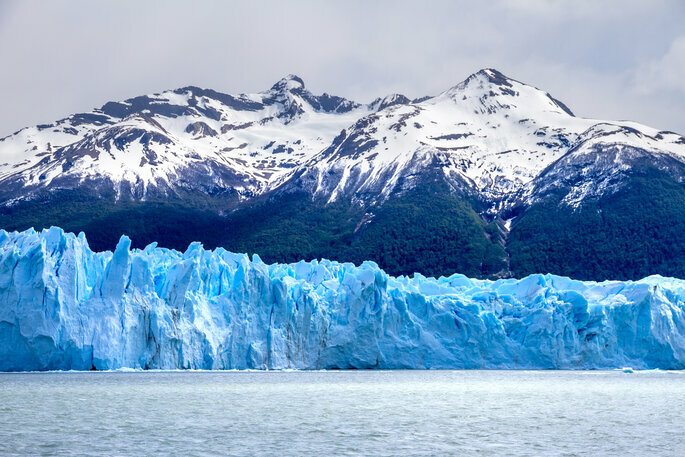 You can also visit other glaciers in the Park, including the Upsala, Spegazzini and the Bolagos – though none will leave you quite as breathtaken as the Perito Moreno. 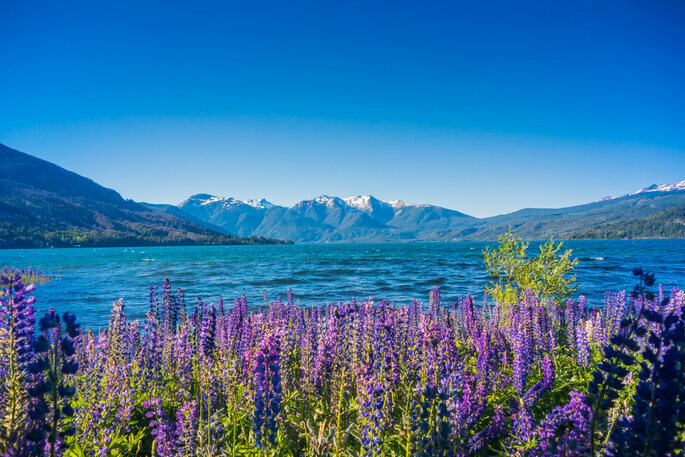 An area of outstanding natural beauty, Bariloche is one of the most well-known parks in the world, a few miles from the nearest city San Carlos de Bariloche. 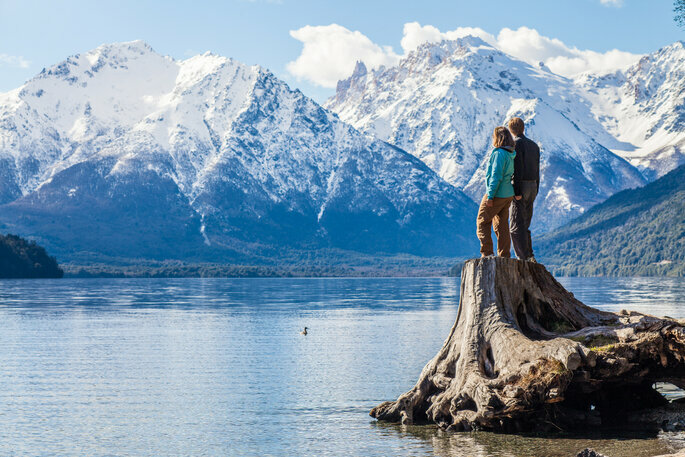 Within Bariloche you will find mountains, pine wood forests, and all kinds of flora and fauna. 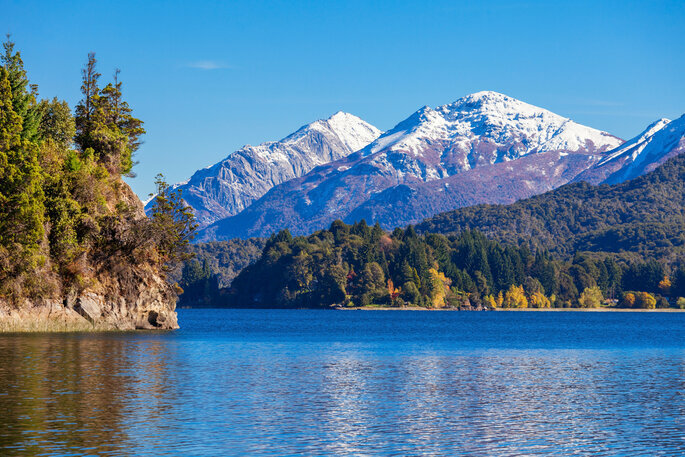 Its huge and abundant lakes also contribute to its beauty, such as the Nahuel Huapi Lake, and the Gutiérrez, the Moreno, and the Mascardi. The secrets and hidden gems of Argentina are innumerable, far surpassing the general impressions and stereotypes that people have of the country. Do you want to discover them for yourself? Use your honeymoon as the perfect opportunity to explore this gorgeous country soon.